If Israel were to go back to pre-1967 borders, wouldn't that leave Israel indefensible? 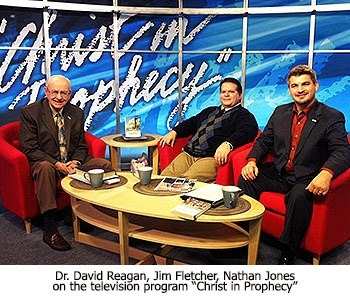 To answer that question, Dr. David Reagan and I on our television program Christ in Prophecy invited Jim Fletcher, the founder and director of a ministry in Arkansas called Prophecy Matters. Jim has been an author and book editor for many years, and when in the 1990's took his first trip to Israel to do some book research, he became hooked on the nation and people. Jim is now a strong advocate for Israel. Nathan Jones: If Israel were to go back to pre-1967 borders, wouldn't that leave Israel almost indefensible? There's only like a nine mile stretch between Tel Aviv and what would be Palestinian territory. To go back would basically be committing suicide, right? Jim Fletcher: Yes, they would be strategically indefensible. Last year I was driving to the north part of the country and I passed Tulkarm, which is a Palestinian city, where a suicide bomber in 2002 had bombed a place in Netanya on the coast. Those two cities are so close to each other. It's a very narrow band and so the borders would be very indefensible. I'm afraid that a lot of our Western diplomats are aware of that. Dr. Reagan: That reminds me of a funny thing that happened to me one time on a flight from Egypt to Israel. I had gotten on the plane and this guy sitting next to me saw me reading. He asked, "What are you reading?" I answered, "I'm reading about Israel." Then we got into a huge discussion. He said to me, "I just don't understand those Jews. I don't understand why they are so implacable. Why don't they just give the West Bank to the Arabs and be done with it and have peace." I asked him if he knew where the West Bank was because I sensed he didn't know what he was talking about. He confirmed it with, "It's the West Bank of the Nile." Nathan Jones: What?! He actually said that? Dr. Reagan: Yes, this guy had no idea where the West Bank was, and yet he was pontificating about the Jews needing to give that piece of land away. The West Bank is the very heart of their land. Jim Fletcher: Yes, it's the biblical heartland. But, you are right, geographically people have no understanding how tiny Israel is. Nathan Jones: We saw what happened when they gave up Gaza in 2005. It became a launching point for attacking Israel constantly, even to this day. Almost every day a missile comes flying over the border, and now for a second time Israel has had to go in and deal with the thugs who control the Gaza Strip with an iron fist — the terrorist group Hamas. Jim Fletcher: Absolutely! Israel giving up Gaza imperiled Israel's southern population, and yet the illogic of what they do continues. If they make another concession by giving up the West Bank, we'll have the same Gaza scenario all over again. Dr. Reagan: I like how Clarence Wagner who used to be head of Bridges for Peace puts it, "The definition of insanity is doing the same thing over and over again and expecting different results." The Israeli's keep doing the same thing over and over. For example, they release murderous prisoners thinking it'll make them okay with the Arabs. They'll understand they want peace. And, in 1967, the Jews took the Old City and immediately turned the Temple Mount over to the Arabs. They thought that would appease them, but the Arabs took that as a sign of weakness. Jim Fletcher: As you rightly point out, there have been several times since the Six Day War that the Israeli's attempted to give back the West Bank, but the Arabs rejected their offer every time. Dr. Reagan: In the year 2000 at Camp David, the most liberal Prime Minister in the history of Israel, Ehud Barak, who I think would have even given away his own shirt, said to Arafat like, "You can have it all. Everything you ever asked for. Here it is." Instead, Arafat got up, walked out of the room, and went back and started an Arab uprising. The reason for his odd behavior is because he knew if he settled for anything less than the annihilation of Israel, it would mean his own life at the hands of his followers. Jim Fletcher: Mahmoud Abbas did the exact same thing in 2008. Dr. Reagan: As Abba Eban, who was one of Israeli's greatest Diplomats once said, "The Palestinians have never missed an opportunity to miss an opportunity." Their own leaders have been their worst enemies. There is so much corruption there today. Jim Fletcher: Absolutely, and he also called the shrunken Jewish state "Auschwitz borders." In the fifth and last part of our series on the importance of Israel, Jim Fletcher why it's outrageous for our politicians to label Israel apartheid.